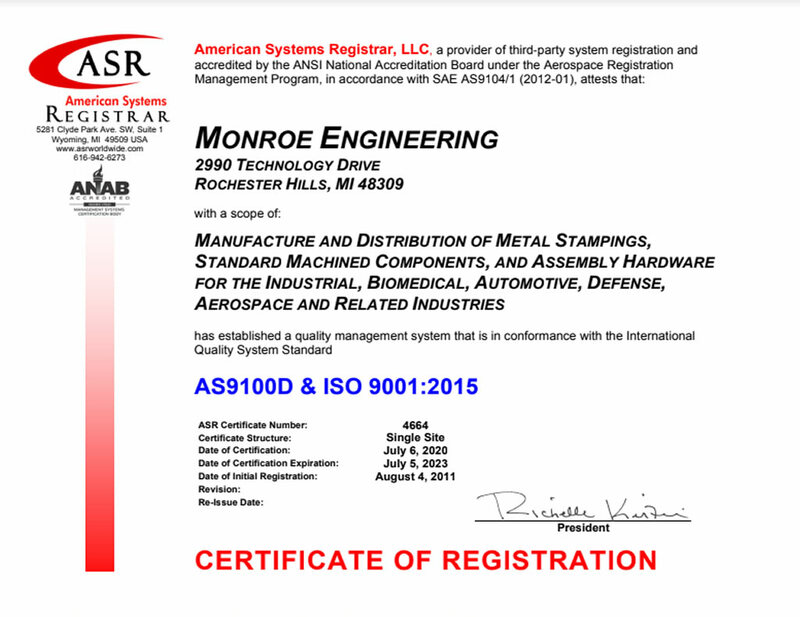 We are an ISO 9001:2015 & AS9100D certified manufacturer of swivel hoist rings. If you have any questions, please contact one of our sales engineers. A swivel hoist ring is a metal loop (bail), that swivels on a pin (known as a shoulder pin) through the diameter of the ring body. A screw passing through the bushing and the center of the body is the means of attachment.